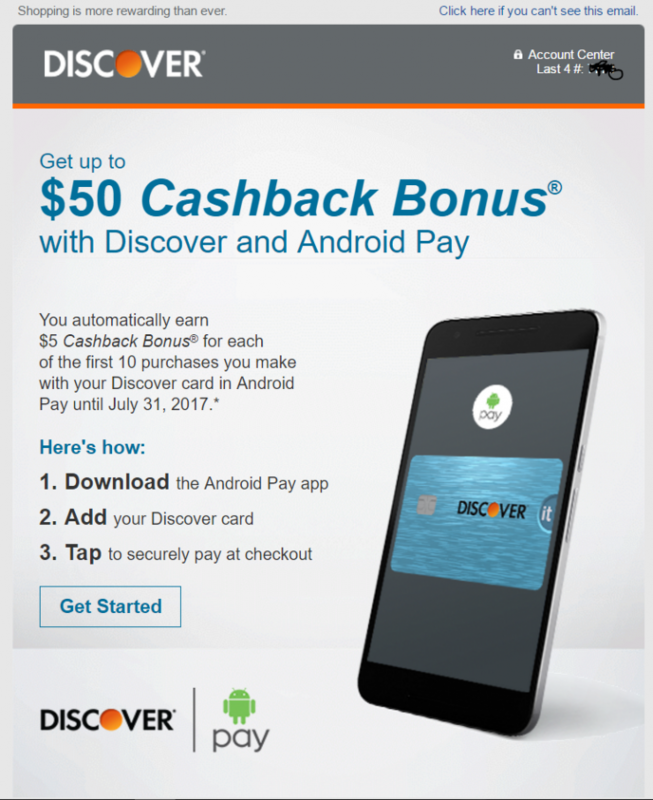 The promotion is pretty simple, use your Discover Card with Android Pay for 10 transactions and get $5 per transaction, for a total of $50 cashback with Discover Android Pay. How can you get that $50? Well, there are a number of retailers that accept android pay. One of the easier ones is staples, it could be as simple as 10 packs of gum across 10 transactions. Will you use Discover Android Pay more because of the $5 per transaction enticement? How do we know if we’re targeted? @Jeremy I’m sorry – I haven’t been able to figure that one out, other than receiving the e-mail.